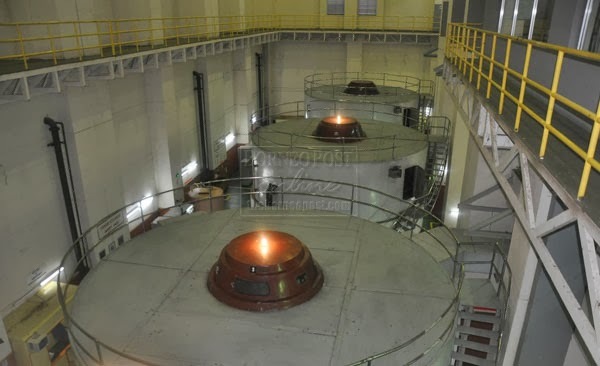 The Borneo Post reported Sabah Electricity Sdn Bhd (SESB) managing director Ir Haji Abdul Razak Sallim as saying that the Pangi hydropower plant in Tenom is currently undergoing upgrading works to boost the existing power generation capacity of 66 MW to 75 MW. For a total amount of RM57million for the upgrading project, an additional 9 MW is not that much but should be good for the foreseeable future. Ir. Hj Abdul Razak (third left) in the control room. The 3 turbines that will be upgraded from 22MW to 25MW each. The upgrading project is among those announced by Prime Minister Datuk Seri Mohd Najib Tun Abdul Razak when tabling the Budget 2014. 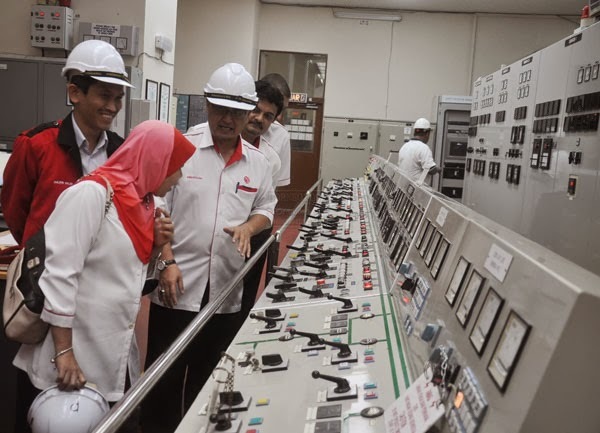 The Pangi power station is being upgraded because it is the only hyrdo power station in Sabah which is still in operation since 30 years ago and it is time that the station system is upgraded to support the generation of electricity to consumers in the state. Photos are property of The Borneo Post. It's more of a rehab for the old trusty hydro.